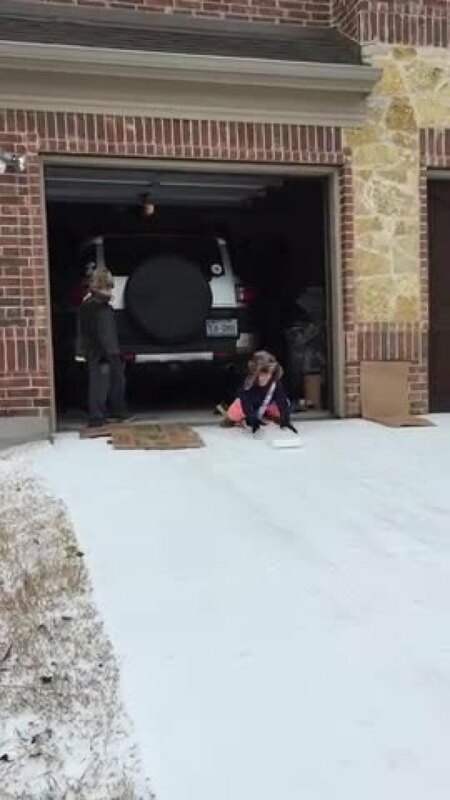 With a little ice on the ground and a day off from school, creative North Texans attempted to sled and have fun in the cold using an assortment of flat-bottomed things. Some methods, as you'll see below, work better than others. 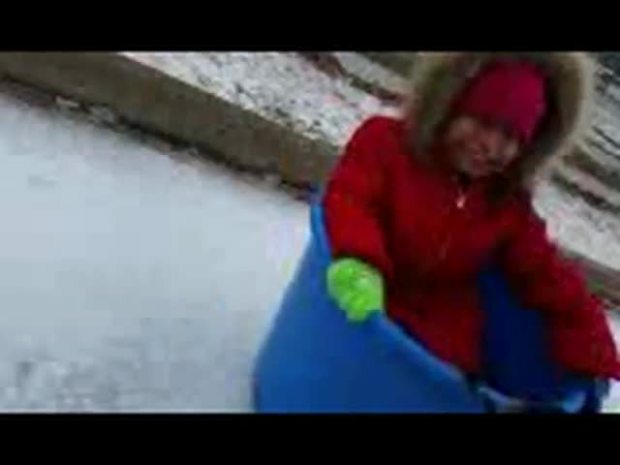 Below is a collection of videos (some sledding, some not) shared by our viewers as they enjoy the "bad weather" day. 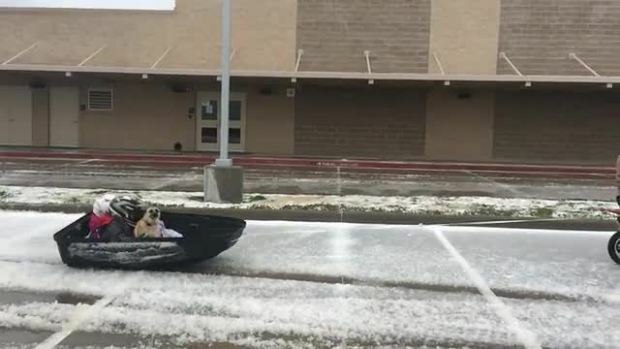 Share your photos and videos by emailing them to iSee@nbcdfw.com. 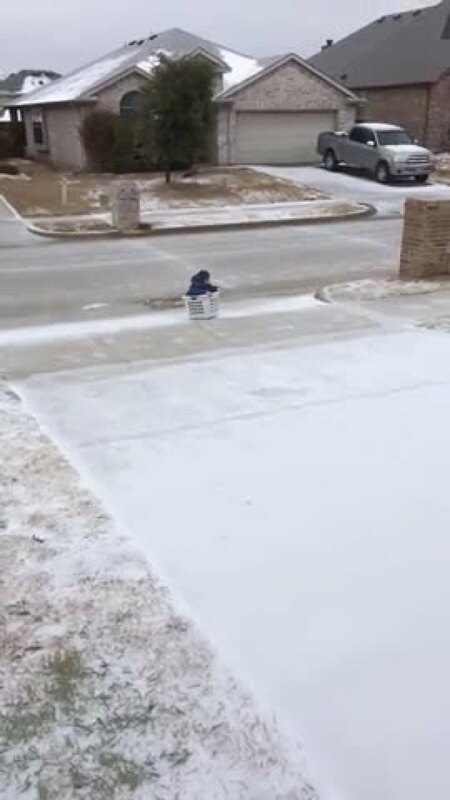 Jake got creative when we couldn't find a hill in Plano! 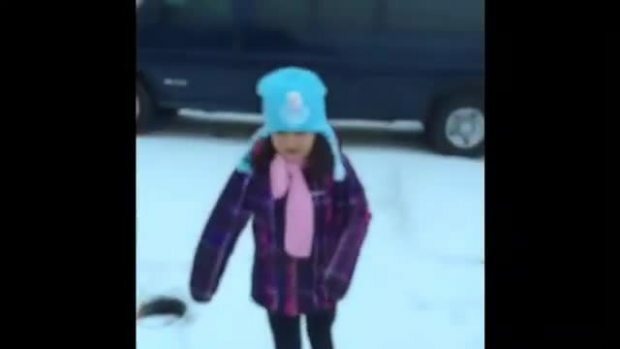 Daughter was so excited to go down the drive way on styrofoam...didn't work at all. 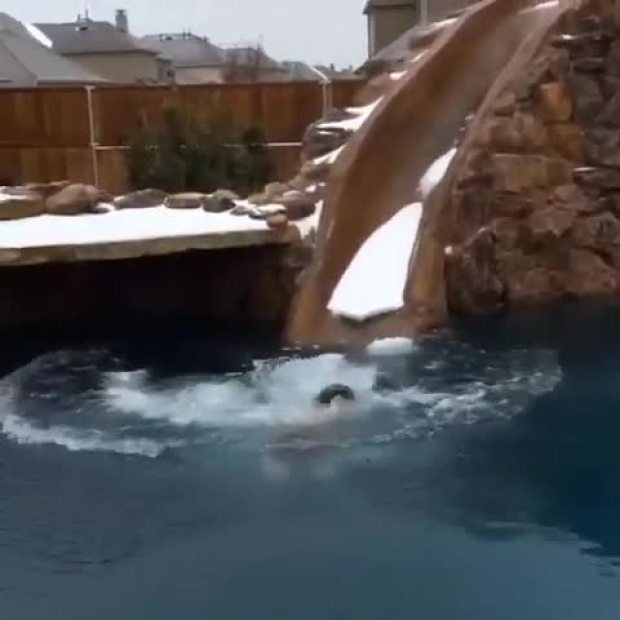 Post by Heather Johnson Westbrook. 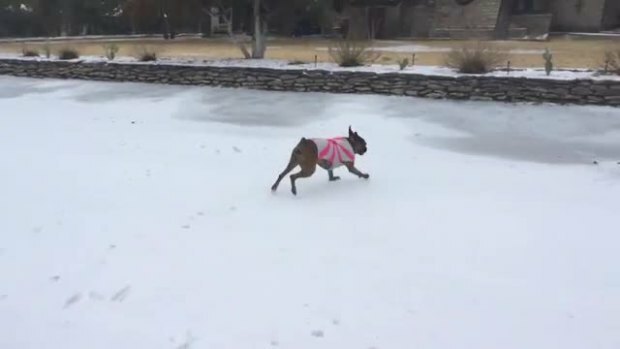 Roxy the Boxer Loves the Ice! 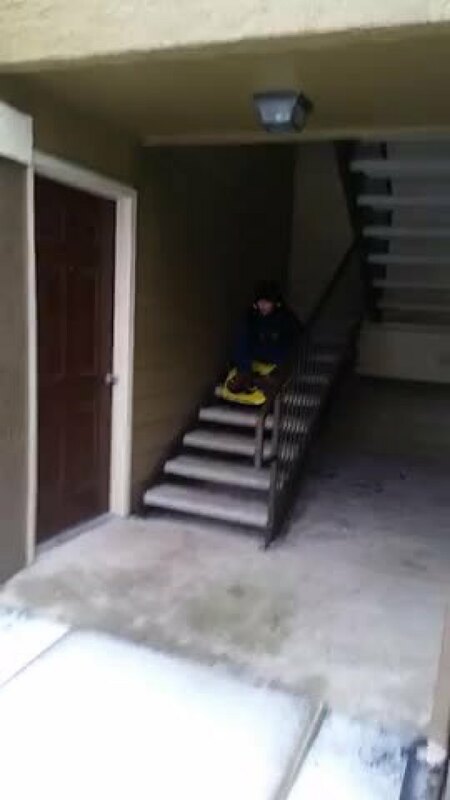 Our Dog Meeting Ice for First Time! 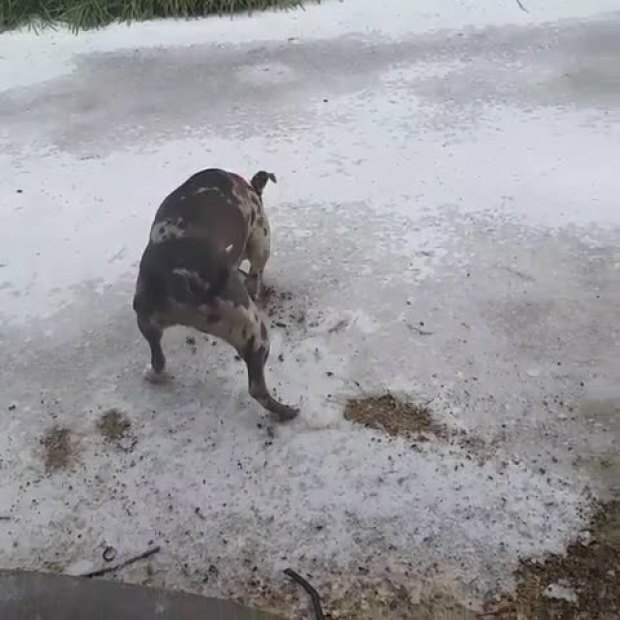 Our dog Delylah has never seen ice until this morning and this was her reaction. 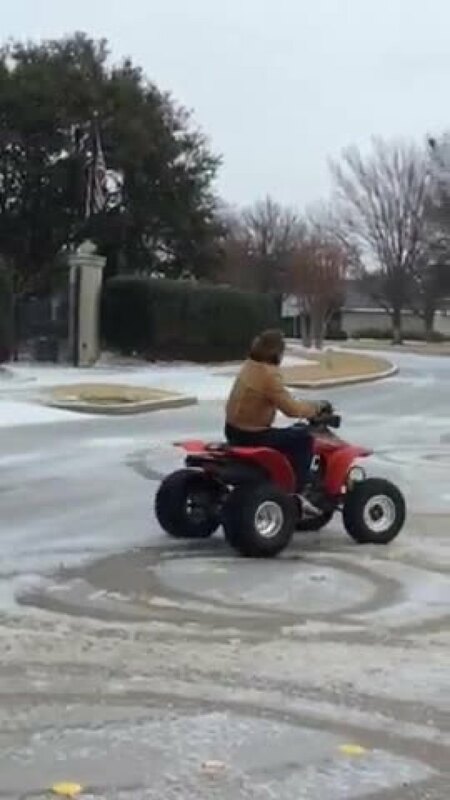 My dad having fun in his toy! 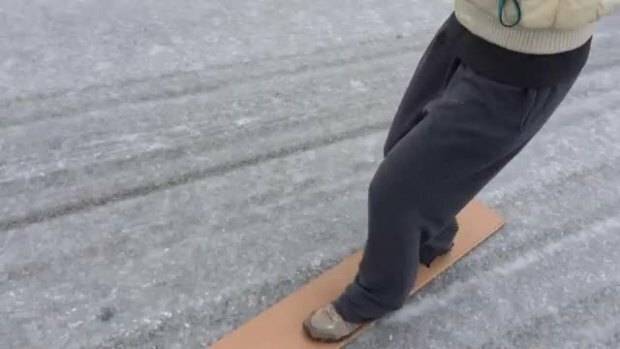 He's joining all the other Jeeps that are in the streets in this weather. 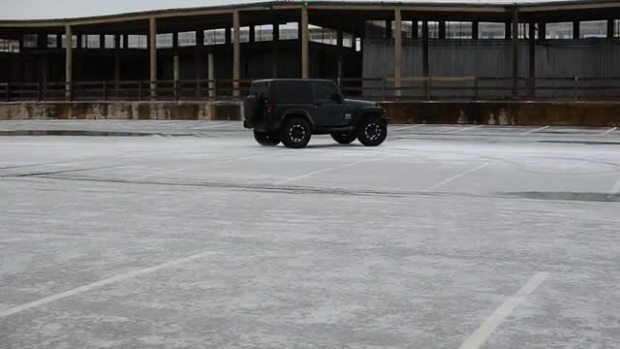 Two drivers doing doughnuts in an icy parking lot caught the attention of NBC 5 photojournalist Noah Bullard. We are not endorsing or recommending you do this. Outdoor Hockey at Monaco Elem. Post by Geri Piccola McNiece.